79760 is rated 4.6 out of 5 by 18. Rated 5 out of 5 by Sherrie from Delta-Cassity Tank Lever in Bronze We recently built a new home and selected Delta-Cassidy bath and kitchen faucets, which we love. 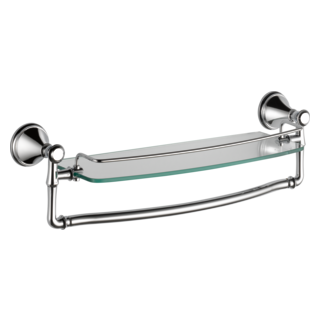 At first we thought getting the Tank Levers were an extravagant item, but once the builder installed them it really added the final touch of elegance to our bathrooms. We love them and would highly recommend them on a new build or a remodel. They truly added the finishing touch to our new home. Rated 5 out of 5 by HeatherB from Matching fixtures So nice this was available so that it matches our bath fixtures. It is heavy and solid like the fixtures. We are happy with it. Rated 5 out of 5 by Leslie Onsager from Thoughtful finishing touch This tank lever is great way to add a finishing touch to a project when used in coordination with the Delta Cassidy plumbing fixtures. Reasonably priced and works very well. Delta always delivered quality and great looks. Rated 5 out of 5 by aheasley from Love the Cassidy collection! I purchased this toilet tank lever and handle to match the rest of our new fixtures. I love the simple but beautiful design of the Cassidy collection! Plus, Delta makes top-quality, lasting products. Very happy with our new master bath fixtures! Rated 4 out of 5 by justin from Beautiful with a nice weight to it This lever felt like it was made of quality materials. 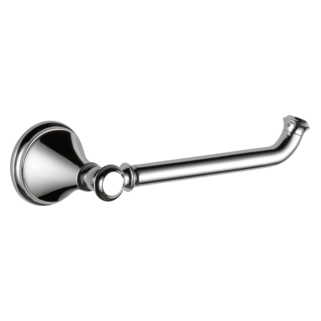 The lever had a nice finish and the client wished they could have more but the only knock was that it didnt fit her other toilets. I suspect this will fit most toilets but not. Rated 5 out of 5 by builderjoe from Eye for detail Remodeled master bathroom and this added a nice touch!!! Replaced the ugly plastic white lever that came with toilet!!! Everything matches real nice!!! Easy to install and works great!!! Very well made and priced!! If you have the eye for details than this is the product for you!!!!! Rated 5 out of 5 by JeffreyD from Awesome Handle Great handle! I have two, one in brushed stainless and one in oil rubbed bronze. They look great and feel solid. I ordered this and it's beautiful but I have a toilet with a side-mounted lever not front-facing. It says this is universal. Can it be altered to work on my toilet? Does the 79760 work on a Gerber Avalanche tank #28-890? According to Megan in toilet technical, it should fit on any side mount or front mount tanks. 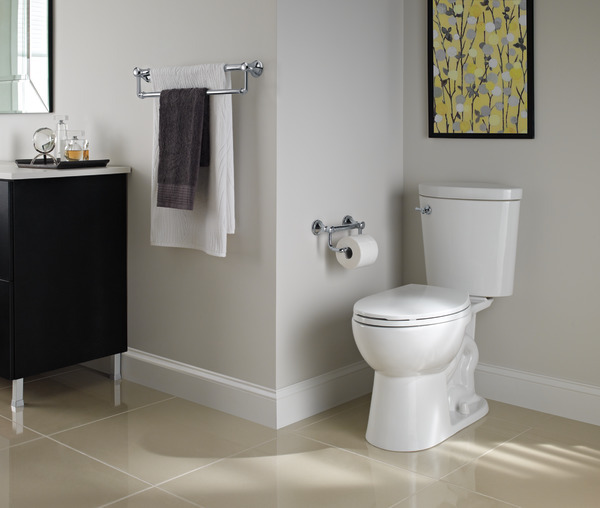 Will Delta 79760 tank lever work with a Kohler Devonshire toilet? CAN THE 79760 BE SIDE MOUNTED? Thank you for your question. 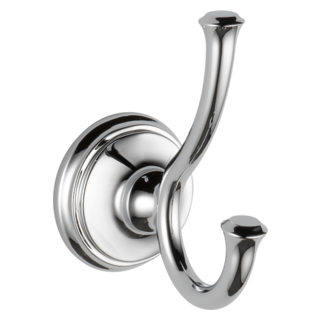 Delta Faucet model # 79760 can only be front mounted. I have an a toilet that is 24 years old. The hole that the lever goes through is an oval hole 1 inch by 3/4 inch. Will the lever bolt fit through this size hole. 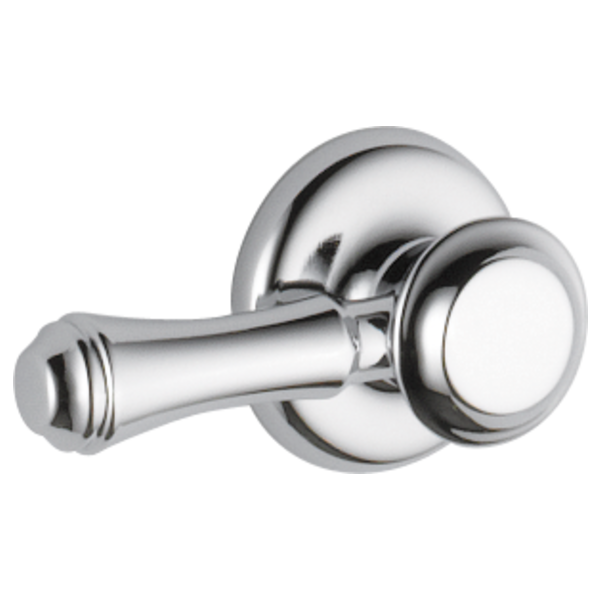 Can I purchase the lever 79760-cz. will it fit. the specs show a nut at 1 and 1/8 inch but what size is the bolt that goes through the tank. Is it possible to reverse direction of the lever? Is it possible to reverse direction of the lever action? I have a Toto toilet that the handle mounts on the left side and would like to have the lever point forward instead of to the rear. The only way I see to do this is if you push the lever up to flush which does not seem normal. Is there a method to install with the lever forward and pushing down? Will this tank lever work for a toilet that has the lever mounted on the front of the tank (top left corner when looking at the tank)?